Bharati Shivaji, Vijayalakshmi and Nayantara with celebrated scholar Killimangalam Vasudevan Namboodirippad. THIRUVANANTHAPURAM: Hollywood would get to taste the timeless legacy of Mohiniyattam this week with the screening of ‘Beyond Grace’, a documentary film on two exponents of this classical dance form - Bharati Shivaji and daughter Vijayalakshmi. The 78-minute film, directed by American filmmakers Sara and Urs Baur, will be premiered at the Raleigh Theatre in Hollywood, Los Angeles, on June 9. The film showcases the mother and daughter as they revisit the places, people and traditions that have helped them enrich this dance form of Kerala. It also covers their endeavour to ensure that this dance form doesn’t become oblivious. An intimate portrait of two women artistes, it actually spans four generations of women - Bharati Shivaji, K Sankari, her mother and Carnatic musician; Vijayalakshmi, her daughter and disciple; and Nayantara, Vijayalakshmi’s daughter. Shot on locations in Kerala, Chennai, New Delhi and the US, the film captures the lives of Bharati and Vijayalakshmi on and off the stage. “Art is a way of life for the women in our family. That is what inspired the directors to make a film on us,” said Vijayalakshmi. Bharati Shivaji, who was inspired by her mother to become an artiste, in turn, inspired her daughter Vijayalakshmi to embrace Mohiniyattam as a profession. 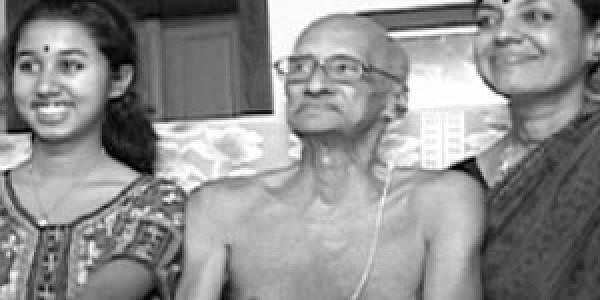 The film shows the artistic duo into Kalamandalam where they interact with master students. Kilimangalam Vasudevan Nampoodiripad, a former superintendent of Kalamandalam and a contemporary of renowned Malayalam poet Vallathol, talks about the essence of Mohiniyattam and innovation in the dance form. “As a filmmaker, I was interested in delving deeper into the nature of the dance by looking into the dynamic characters that create the dance,” said Sara Baur- Harding, director of the film. Another significant aspect is the music has been composed by the celebrated composer Mac Quayle, who has worked with legends such as Madonna, Sting, Mariah Carey, Whitney Houston and Elvis Presley.